Though it is an unusual occurrence, a Mac may encounter a broken or damaged EFI partition which typically prevents the Mac from booting and the Mac OS system software from loading. This is usually demonstrated as a boot screen that is stuck on the  Apple logo, sometimes with or without a wait cursor that spins endlessly. The EFI problem is then confirmed by booting into Recovery mode and running Disk Utility, often from an another drive. Since a broken EFI partition may prevent a Mac from starting up properly it can be a challenge to repair. There are options to attempt to manually rebuild, create, or repair the EFI partition, typically with fsck, diskutil, and third party tools like got frisk. After wrangling with a broken EFI partition on a Mac recently, I personally found the fastest and most foolproof method of fixing the EFI partition and to get the Mac to boot again was simply reinstalling Mac OS X onto the computer. I fiddled with the other options, but ultimately just reinstalling Mac OS system software did the job for the situation I encountered. Hopefully you have made a full backup of the Mac before the EFI partition failed to begin with, otherwise you should complete a backup before attempting to reinstall MacOS system software. Assuming you choose to simply reinstall Mac OS X and you don’t attempt to format the drive or do anything else, then only the Mac OS system software will be replaced and the EFI partition will be recreated in the process. In other words, no personal data, files, or apps should be lost in the process if all you are choosing to do is reinstall Mac OS X. If you go a route aside from simply reinstalling Mac OS X, you may lose data. Finally, something else to keep in mind is that sometimes damaged or broken EFI partitions can be an indicator of an impending disk failure, or some other problem with the hard drive. 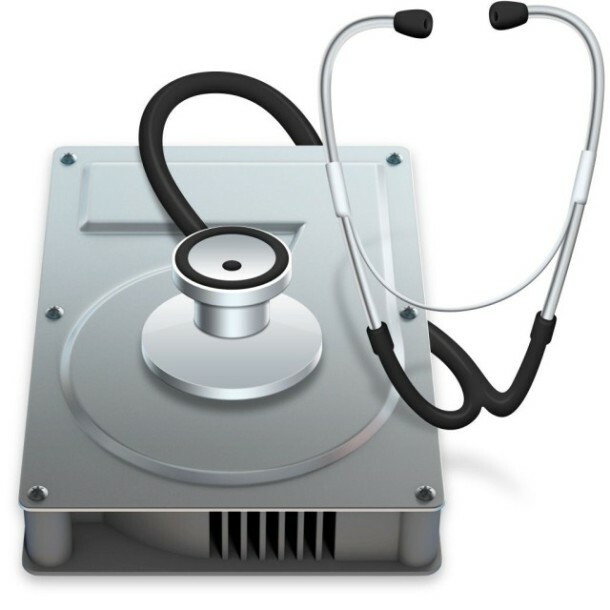 If you suspect that may be the case, you may want to attempt to repair the drive through Disk Utility and run Apple Hardware Test on the Mac to see if any hardware related disk errors appear. If the drive is failing, you will need to replace it, and you’d want to do that sooner than later to avoid data loss. Know of another method of fixing broken EFI partitions? Have any related tips or thoughts that are helpful? Let us know in the comments! I’m Donald and I approved this article by Paul! Disk errors that do not resolve and disks that do not display reliably on system boot are two common signs of a drive failing. If you encounter either situation it is a good idea to immediately backup any important data and look to replace the hard drive. Sometimes you can format and reinstall to resolve stubborn disk errors as well, but if the drive is old it may be better to assume it’s on the way out. For what it’s worth, I have also ran into EFI errors on brand new drives after they were cloned using a backup image from a prior drive that was failing, but reinstalling MacOS fixed the trouble. I don’t understand why not formatting the disk space n the process. Chances are that there are some damaged sectors if the EFI partition got corrupted. Yes that is a good idea for many situations, you can certainly format the disk before reinstalling macOS. There is nothing wrong with that approach at all, as long as you have a backup of the data that needs to be restored. Happened once to the mac of my Fiancees mom. Unfortunately, she did not back up her files, but I was able to salvage most of the files by entering target mode and manually pulling out the files, since not all sectors are bad, just the boot sector. Reinstalling the OS fixed the problem, and I was able to throw in all the files back after installation. No problems since. If memory serves, this happened to a friend’s iMac. I ran DiskWarrior on it, and that solved the problem. A good way to salvage the files, assuming the disk is not completely full, would be to shrink the current partition and create small one (say 20GB) and install a fresh OS on this partition. After booting on this one you would get access to you data on the main partition. Backup to a separate drive format and reinstall, bring back the data and the job is done. You got a brand new computer with your data on it. As a plus you have a security boot drive. That is a workable approach for when an OS fails, but the problem of course is that the new Disk Utility tool in macOS Sierra, El Capitan, etc, is awful and outright useless. You can’t shrink partitions, you can’t grow partitions, you can only add or delete them. They ruined Disk Utility. Both TechTool Pro & DiskWarrior can deal with this without the need to blow away the partition. As a technician myself, I can say that in less that 25% of the cases where I encountered this issue was it a case of failing hardware. The most common issue I found when a Mac refuses to boot of any partition is corrupted permissions (I don’t mean just one or two, but thousands of system files with incorrect permissions; so many that even Disk Utility is powerless to fix) and/or corrupt directory files (again, beyond Disk Utility’s ability to repair/replace). In cases like this booting off another source and running repair utilities like TechTool, DiskWarrior, or Drive Genius was the only thing that repaired the problem short of reformatting said drive or partition & reinstalling the OS. Incidentally, using TechTool Pro has helped avoid this issue as it monitors the machine in real time and catches impending hard drive issues as well as having the ability to backup the main directory at chosen intervals. This has saved many a computer, in my experience, from having to be completely wiped and set back up with OS reinstall. An OS reinstall should be the last option, not a means of fixing problems where utilities specifically designed to deal with these issues exist. OS reinstalls often lead to data losses and are a major hassle even when backups are available as quite a few third party software installed on people’s computers stop working. People are too quick to recommend reinstalling the OS…. And most often it wasn’t even necessary to do so and the risk of carrying over the files that caused the problems isn’t always nullified either. I recently decided to re-partition and multi-boot my old Macbook Pro with both OSX and Debian, using rEFInd as the boot manager. I did it out of order, or messed up a step, and the machine kept booting straight to Debian. I tried using the Option/Alt key on boot-up, which let me boot back into OSX, then reinstalling rEFInd. Still didn’t help. Every reboot brought me back to Debian. So I went to Preferences>Startup Disk in OSX, unlocked the panel to make changes, and re-selected the main drive. Rebooted, and it went straight to rEFInd like it was supposed to. Now I can CHOOSE whether to boot into OSX or Debian. I was frustrated that I somehow messed up the boot partitions/EFI files, but this quick and easy GUI-based fix did the trick for me. Hope it helps someone else one day. No start manager window appers using (alt buttion)…direct window is starts and it also dameged…….wht can i do …..? What exactly causes the EFI error? I repaired the disk, but it seems to be recurring. Sometimes, it doesn’t identify the EFI partition as the source of the error, and says the disk is fine. It’s only actually identified it once, all the other times, when I’m finally able to get to disk utility, it said the disk was fine. I replaced the hard drive once, but after experiencing the same kind of booting issues with the new drive, I assumed it wasn’t the old drive failing’s fault, so I returned the new drive. I really don’t want to buy a new drive again if the cause of the EFI is some other reason. What happens if you brutally repartition your HDD/SSD into 3 partitions (e.g. with Linux Gparted Live) or maybe even under Disk Utility (just drag partition boundaries under DU)? -1 Partition EFI under Fat32; 210 MB. replace its contents with a copy of a working EFI Mac partition. – 1 Recovery partition under HFS+/ GUID Partition Map for an internal Mac HDD ( optional), 650 MB. Replace its contents with a working Mac Recovery Partitions content. Use a bootable clone ( Carbon Copy Cloner, SuperDuper, Retrospect, whichever) or Time Machine in combination with Migration Assistant to get your system & data back. Oh, getting it: the EFI partition seems to contain the (U)EfI bootloader, essential to getting bootable media! This seems to be the gist for creating a bootable USB stick as well. Thank you, thank you, thank you, you are a hero. Bacon saved, also SSD and sanity. Feel like a million bucks today! Thank you again! How do I repair a damage partition?